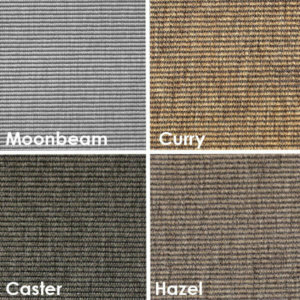 Belmar Custom Cut Indoor Outdoor Area Rug Collection is richly textured, quality carpeting was skillfully designed to be used both indoors and/or outdoors. 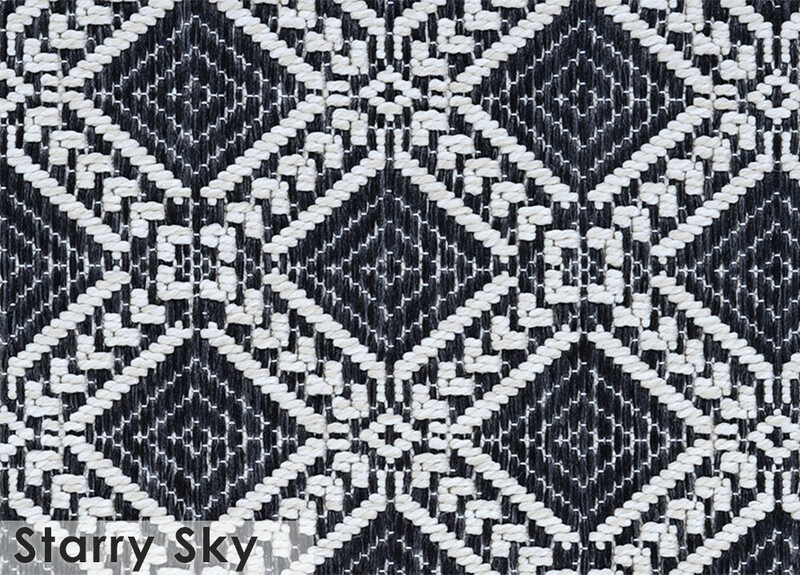 With an impossible-to-miss pattern for a decidedly statement-making look. 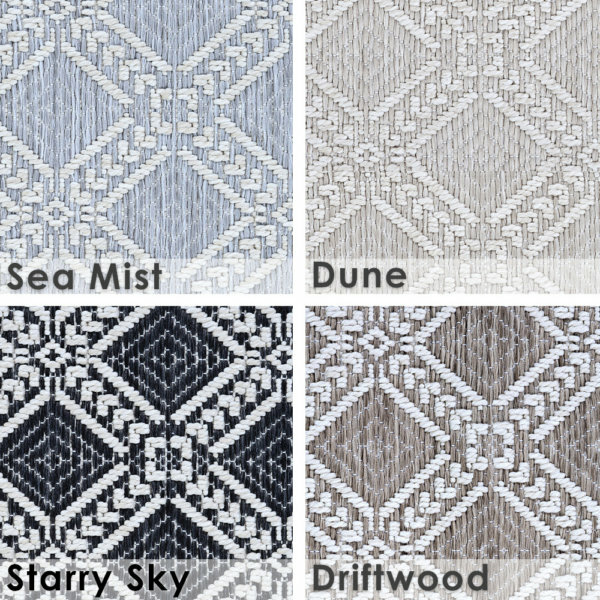 Belmar offers a fun yet sophisticated sense of elegance in soothing colorways like Dune, Driftwood, Sea Mist, Starry Sky and Sand Dollar. 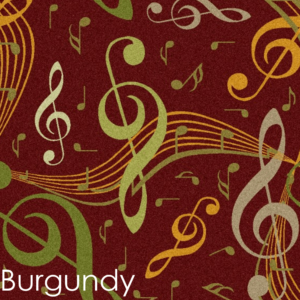 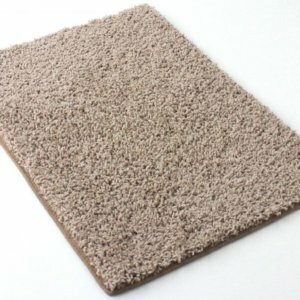 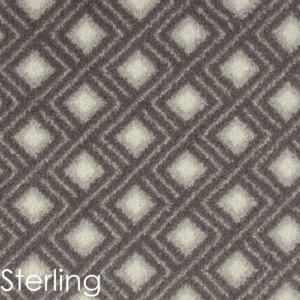 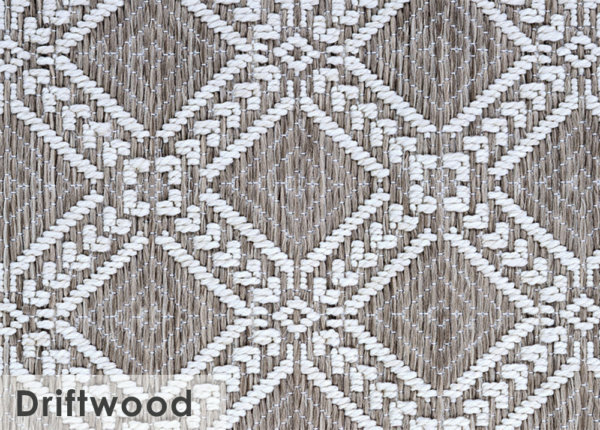 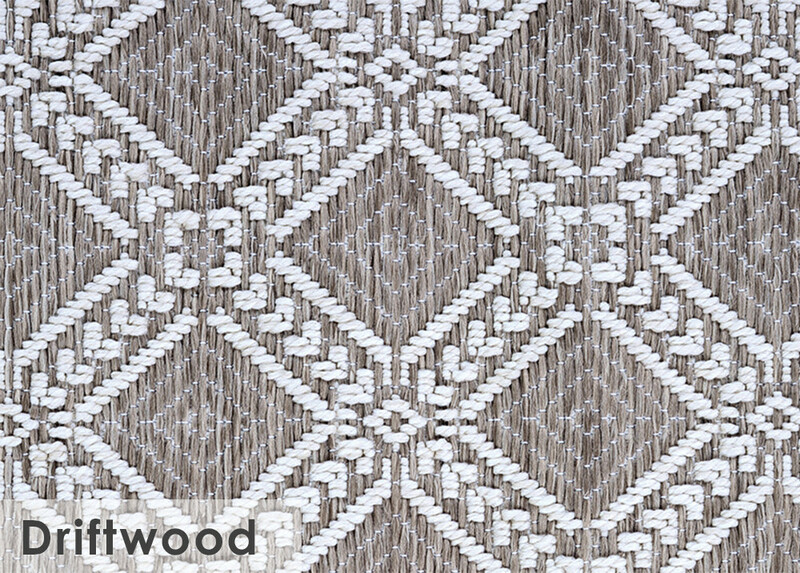 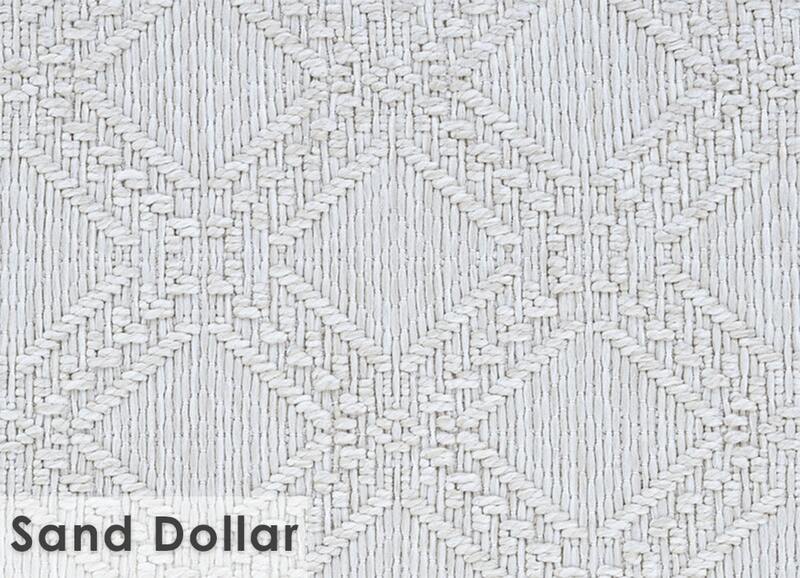 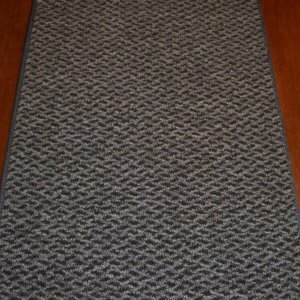 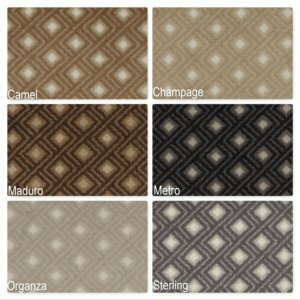 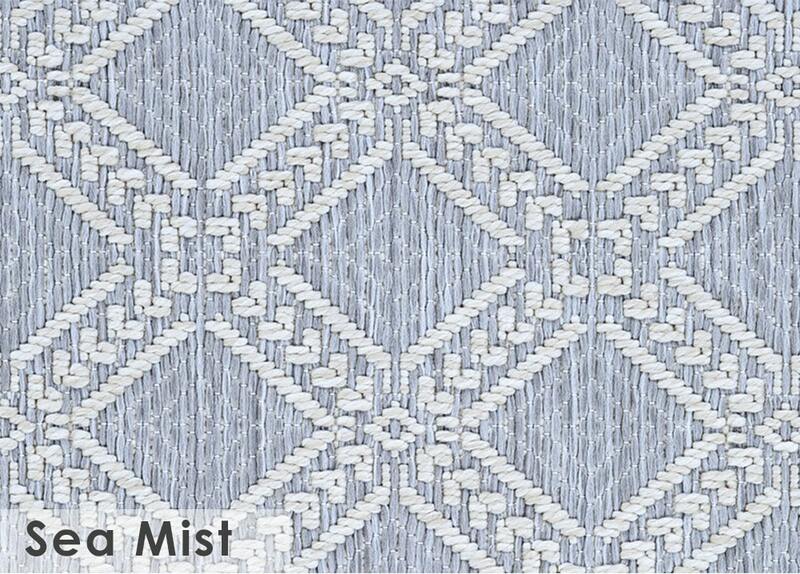 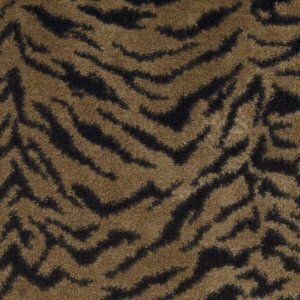 You will also find other rug options in the same exquisite color ways like Belmar. 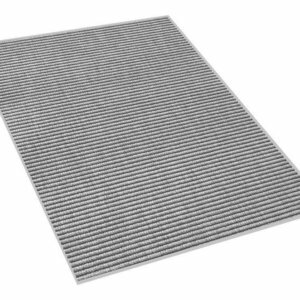 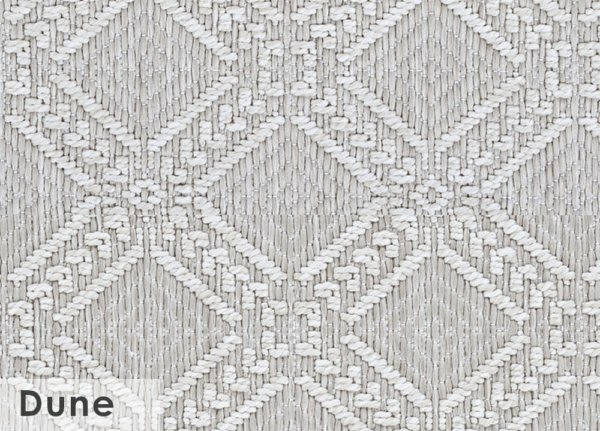 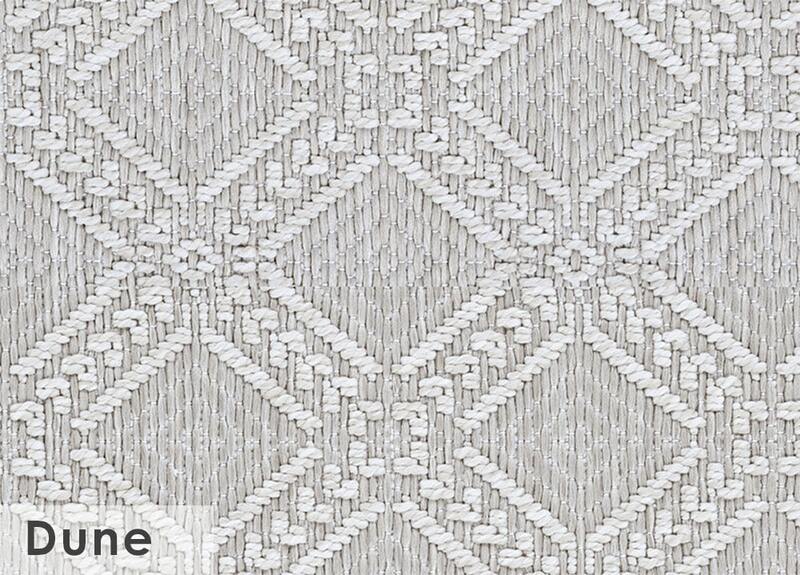 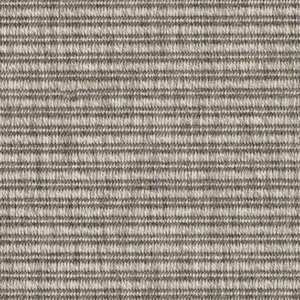 Stocked 12’6″ wide and created of 100% Courtron polypropylene this trend-setting, structured flatwoven residential carpet is UV stabilized. 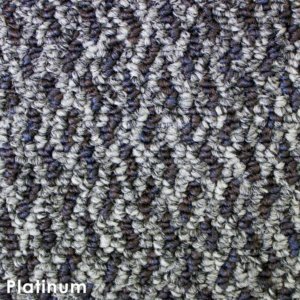 Mold and mildew resistant as well as easy to clean. 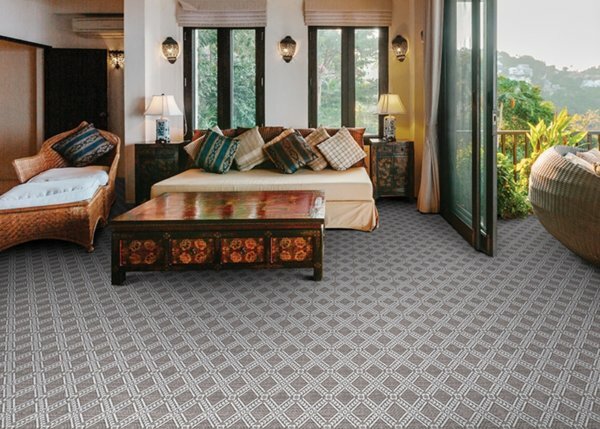 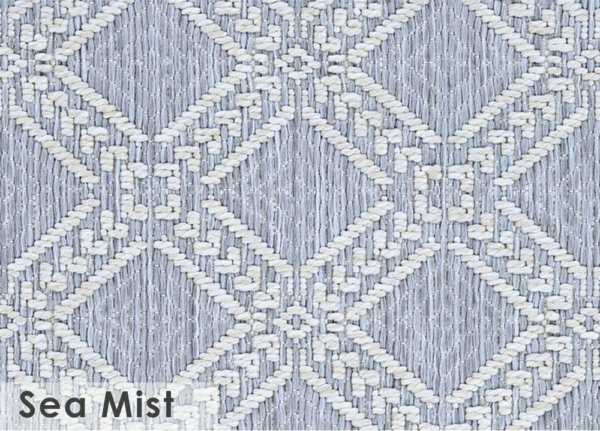 Offering all of the durable qualities of a premium indoor/outdoor product, Belmar is sure to bring fashion to any room and decor style. 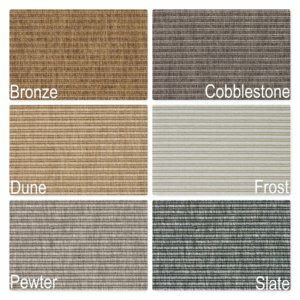 Ideal for entertainment areas with high-traffic. 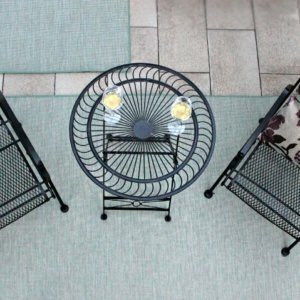 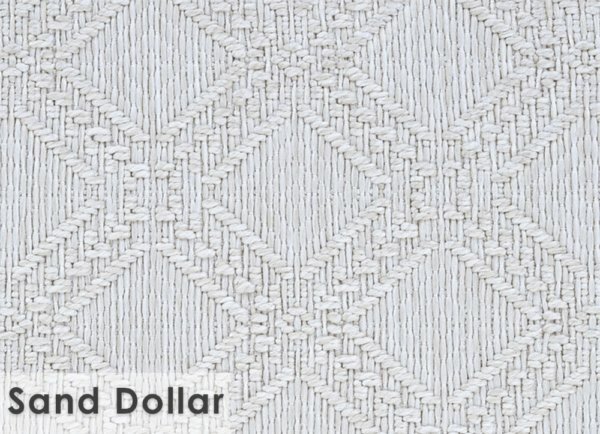 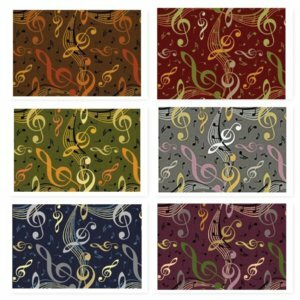 Belmar Custom Cut Indoor Outdoor Area Rug Collection is designed to add comfort and a chic appearance to any living space inside or outside the home. 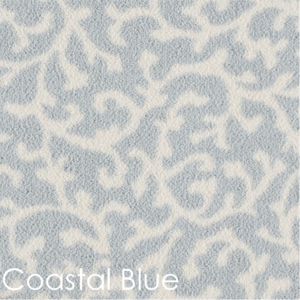 Each Belmar area rug is bound to prevent fraying and complete the look of the rug in s complementing color. 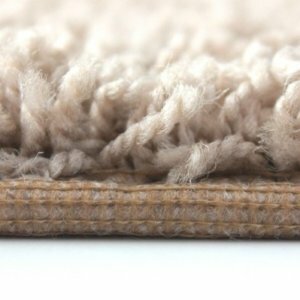 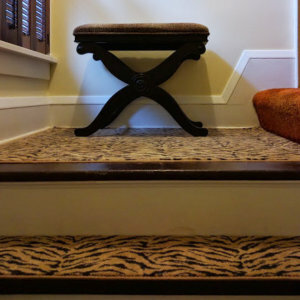 Rug Tip: To prevent mold and mildew – it is best to keep dirt and debris swept away or vacuumed. 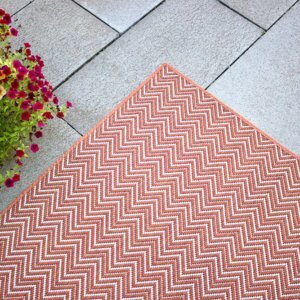 For the longevity of your outdoor rug, roll up and store away when not in use seasonally.